Sannomiya Shrine (三ノ宮神社) in Kobe. 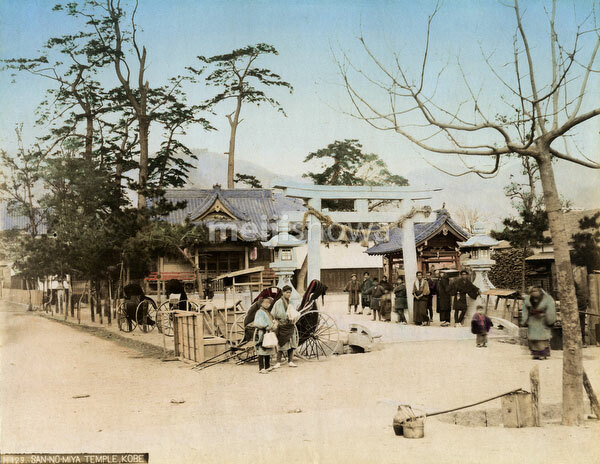 On February 4, 1868 (Keio 4), the Kobe Incident (神戸事件) took place in front of this shrine when samurai from the Bizen domain (in what is now Okayama Prefecture) started firing when two French sailors interfered with their march, a strictly forbidden act in Japan known as tomowari (供割). Zenzaburou Taki (滝 善三郎, 1837-1868), an officer with the Bizen forces (第3砲兵隊長), took responsibility for this incident by committing seppuku.